Brother Knights will assist Mr. Dwayne Lovell with the awarding of medals and ribbons. This is an outdoor event and spouses, children, and friends are welcome. It is a great opportunity for families and Squires to attend. Women are invited to help with the handling of the medals and ribbons and children are invited to cheer for the athletes as they enter the awards area and receive their awards. Squires often give the athletes water. 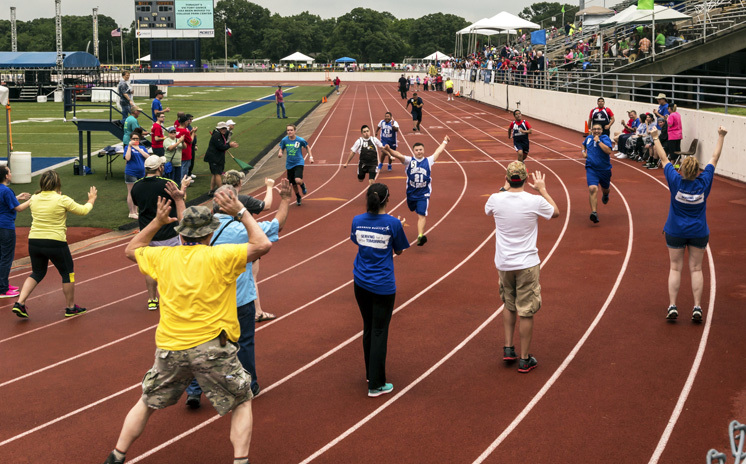 Assisting the athletes of the Special Olympics is entertaining and worthwhile as well as a very rewarding experience. This is a large event with three awards areas on Saturday, so we will need lots of help. Feel free to work one shift or as many shifts as you are able to work into your busy schedule. Any time that you can spend assisting the athletes of the Special Olympics is greatly appreciated. Please respond to Phil Coup, Diocesan Coordinator for Special Olympics, at 972-966-3773 or philcoup1@gmail.com as soon as possible. Thanks in advance from all of the Special Olympics athletes.